Mu Delta Alpha: Muslimahs for Change Sorority- Via Launch Good. Tunisian women can now legally marry non-Muslim men, if they wish to do so! The ban was in effect since 1973. Malaysian Muslim women are facing a lot of abuse and bullying on social media, particularly when they do not abide by certain societal and/or religious expectations. 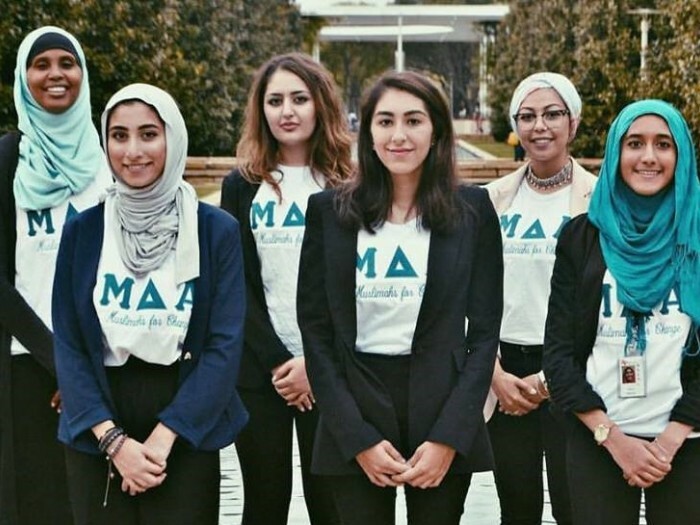 Texas is home to the First professional Muslim sorority, Mu Delta Alpha: Muslimahs For Change. The organization focuses on sisterhood and in shattering negative stereotypes about Muslims. Iranian-Canadian artist Nasim Asgari at the Gardiner Museum’s event in Toronto.- Via the Gardiner Museum’s Facebook page. Muslim women in Vadodara are doing Yoga while incorporating Qur’an in their practice (they may have been doing so since a while ago, but it just became newsworthy!). Muslim women are archiving their experiences at the Gardiner Museum in Toronto. 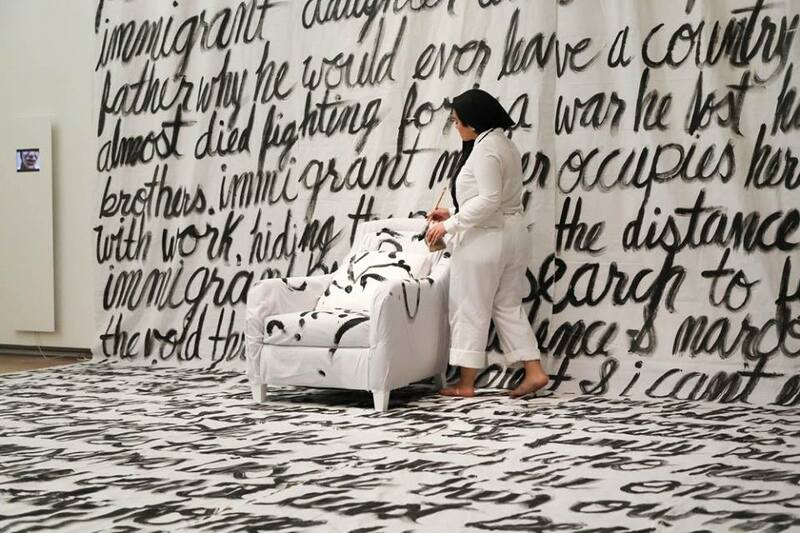 12 Muslim women artists showcased diverse pieces and experiences. The archive is said to be a collection of records that tell stories about place, institutions and people. Iranian artist Shirin Neshat wins the Praemium Imperiale for her contributions to photography and video installations featuring the struggles of Muslim women. Rohingya Muslims have experienced genocide for decades, with little or no intervention from other countries or multilateral organizations. 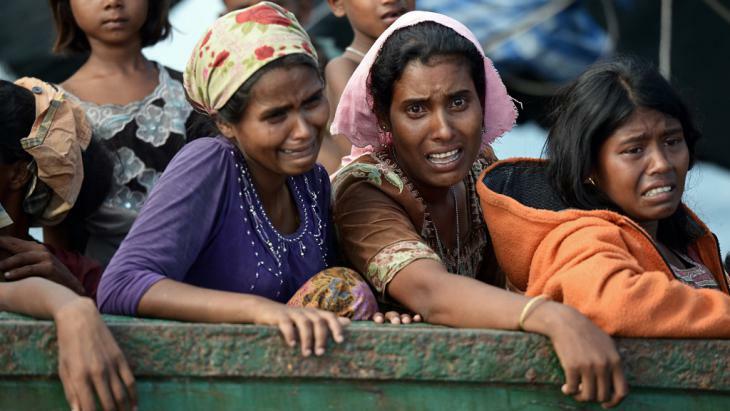 The UN Human Rights chief just recently deemed the genocide “textbook example of ethnic cleansing.” Rohingya women have been particularly affected and targeted. A UK prison is providing Muslim women in prison with special “anti-dog outfits” for when they are checked over by sniffer dogs. The Daily Mail says “many Muslims believe that animals are ‘impure.’” Some staff also feel the “special treatment” forces them to “bend over backwards” for religious accommodation. Muslim Women In Prisons Face A Unique Combination Of Stigma And Discrimination by Aisha Gani. 5 Microaggressions Muslim Women Face In Feminist Circles And How To Address Them by Hadiya Abdelrahman. We Been Here: Black Muslims in America by Samaa Abdurraqib.